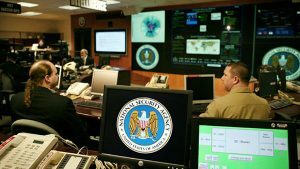 New reports on NSA privacy threats have revealed that the government organization has the ability to snoop on any targets in an 8 mile radius as long as they are using a Wi-Fi network. Wi-Fi has become the king of connections these days, with many homes, offices, and public areas utilizing Wi-Fi networks to ease connectivity and accessibility. Indeed, Wi-Fi is so common these days that it seems almost unusual to be out and about in any major city and not be able to connect to a nearby hotspot almost on demand. A lot has been said about how unsecured Wi-Fi networks may be used by hackers, but now the NSA is in on the Wi-Fi spying game too. A security researcher named Jacob Appelbaum announced at the Chaos Communications Congress in Hamburg, Germany that one of the more sinister tools in the NSA’s arsenal was a custom device called ‘Nightstand’. The Linux-powered Nightstand was created to peek in on Wi-Fi users from up to 8 miles away as long as they are running a Windows system. With more and more concerns about public privacy arising from the NSA scandal, Nightstand is almost certainly one of the most powerful Wi-Fi snooping tools at its dispoal.